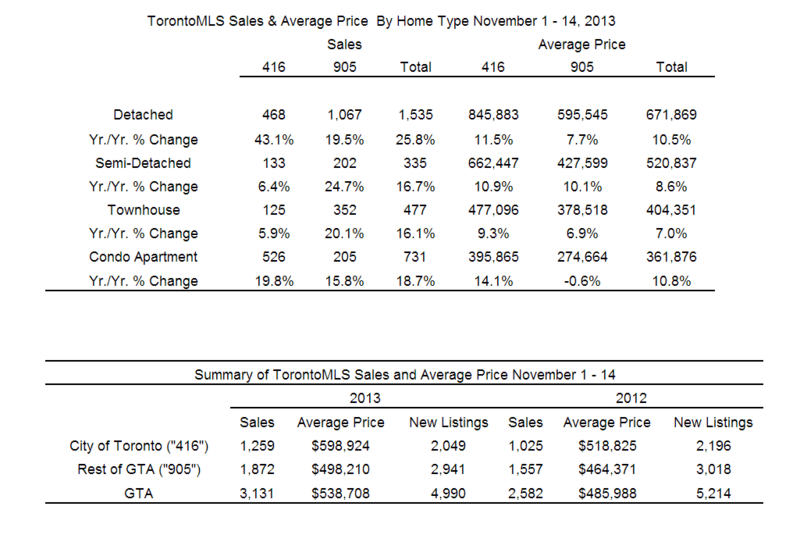 TORONTO, November 18, 2013 — Greater Toronto Area REALTORS® reported 3,131 residential transactions through the TorontoMLS system during the first two weeks of November 2013. This result represented a 21 per cent year-over-year increase compared to 2,582 sales reported during the same timeframe in 2012. Over the same period, new listings were down by more than four per cent. The average selling price for November 2013 mid-month transactions was $538,708, representing an 11 per cent increase compared to $485,988 in 2012.